Hospice care provided by Harmony Home Health & Hospice brings comfort to families. Taking the first step to accept hospice care is never easy. Yet once families discover the blanket of support a professional hospice care team provides, they’re able to experience a degree of relief in knowing they’re not alone throughout their journey, and that their loved one will have the most comfortable and highest possible quality of life during this time. Dignity. Harmony Home Health & Hospice’s patients are able to remain in the comfort and familiarity of home throughout their care, and are able to forego invasive procedures, middle-of-the-night poking and prodding by hospital or facility staff, and care that is shared with a number of other patients. The hospice patient and family have a designated team of care providers who respect individual preferences and desires, allowing for the creation of a highly personalized end-of-life experience, with all physical, spiritual, and emotional needs being fully met. Time. Hospice care at home allows families the precious commodity of quality time together. Without the need to adhere to set visiting hours, loved ones can determine when and how often to be with the hospice patient, and have the freedom and privacy to spend that time in whatever way is most comforting for all: playing music and singing together, praying, reminiscing, sharing a special meal, or simply sitting quietly together. Counseling. 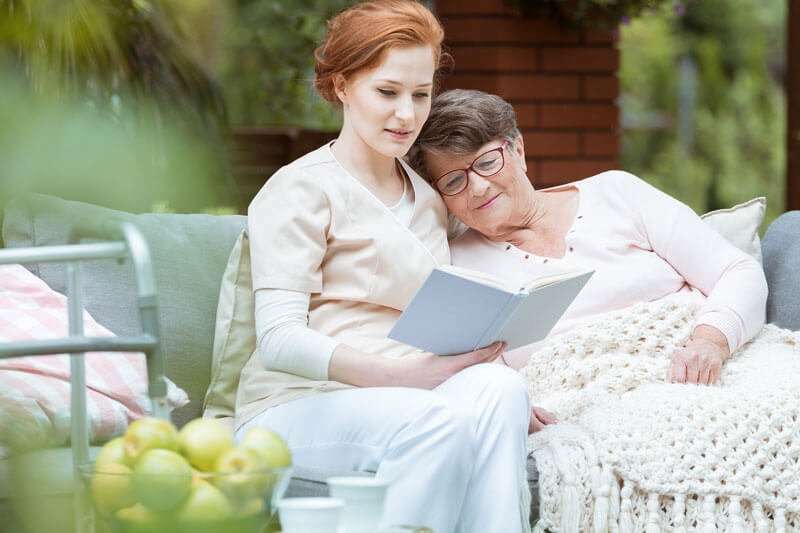 At Harmony Home Health & Hospice, we know there are a wide range of emotions that family members experience when their loved one receives hospice care. Members of our care team are fully trained and experienced in providing the guidance and support that bring a measure of comfort and peace to families during the entire hospice journey – beginning at the onset of care and continuing throughout the grieving and bereavement process. If you’re considering hospice in Orem or a surrounding area, we’re here to answer any questions you may have and to provide you with additional helpful resources, or to schedule a free in-home consultation to discuss your needs and to create an individualized plan of care. Our hospice care team is comprised of expert physicians, social workers, registered nurses, therapists, nutritionists, counselors and spiritual support, homemakers, and more. We’re available 24 hours a day, 7 days a week with the professional, compassionate in-home hospice care services that have supported families throughout Salt Lake City, Orem/Provo, Ogden/Layton, and Tooele, Utah, as well as Albuquerque, New Mexico and the surrounding areas. Contact us any time at 877-I-NEED-CARE (877-463-3322) to learn more about how we provide compassionate home health care Ogden UT families deserve.